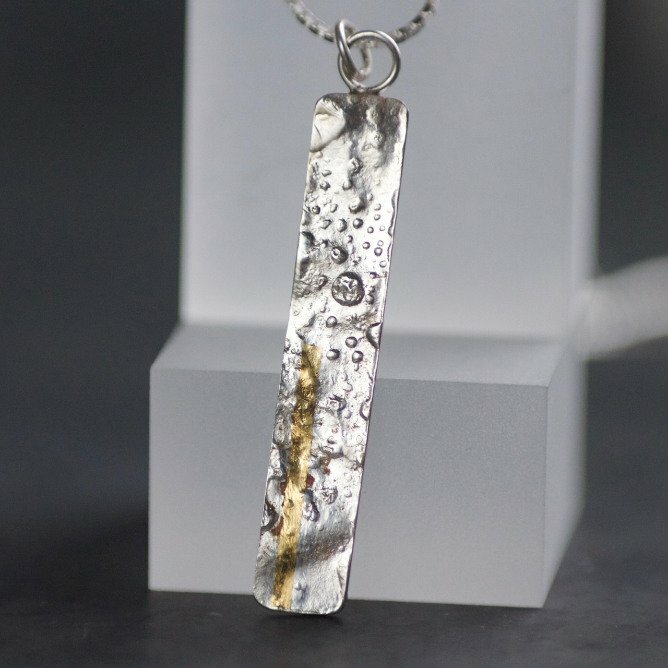 This handmade, textured silver and gold pendant is discreet enough to wear everyday, while also having a highlight of gold to add that little bit of luxury. 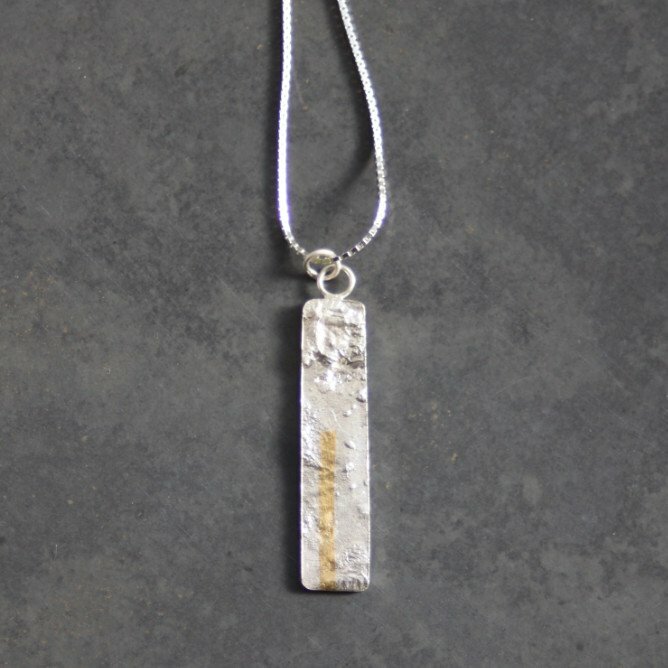 The pendant has then been polished and burnished around the edges to give a high shine & is suspended from a 45cm/ 18″ sterling silver box chain. 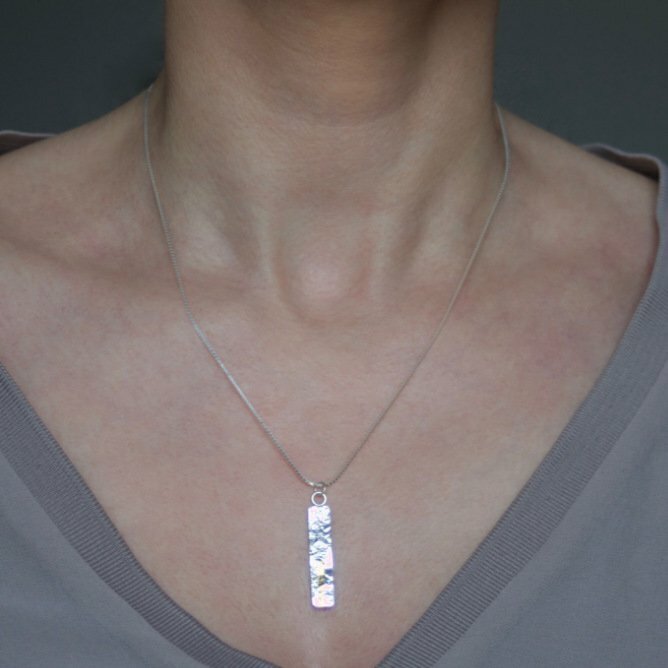 Each pendant is handmade and will differ slightly from each other. 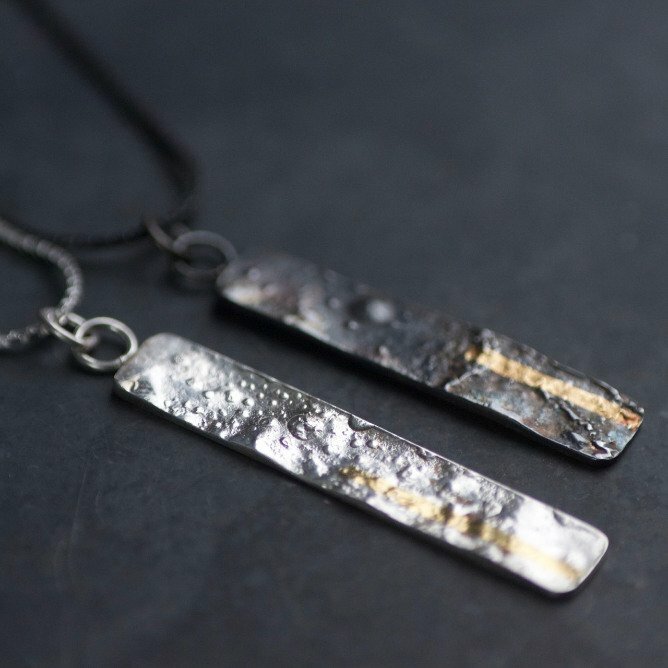 Oxidised version also available here.